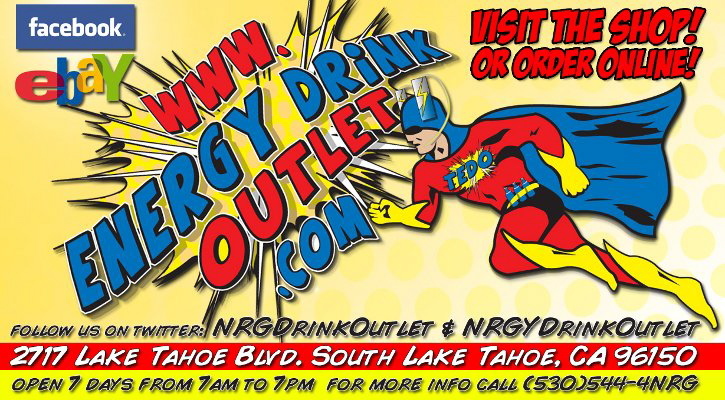 Ryan Payne and Jason Gomes are South Lake Tahoe residents running the world’s first and only Energy Drink Outlet. Recently, the Payne-Gomes tag team gave a knock out punch to the energy drink industry, putting Lake Tahoe on the international energy drink atlas with Tahoe Blue Energy. 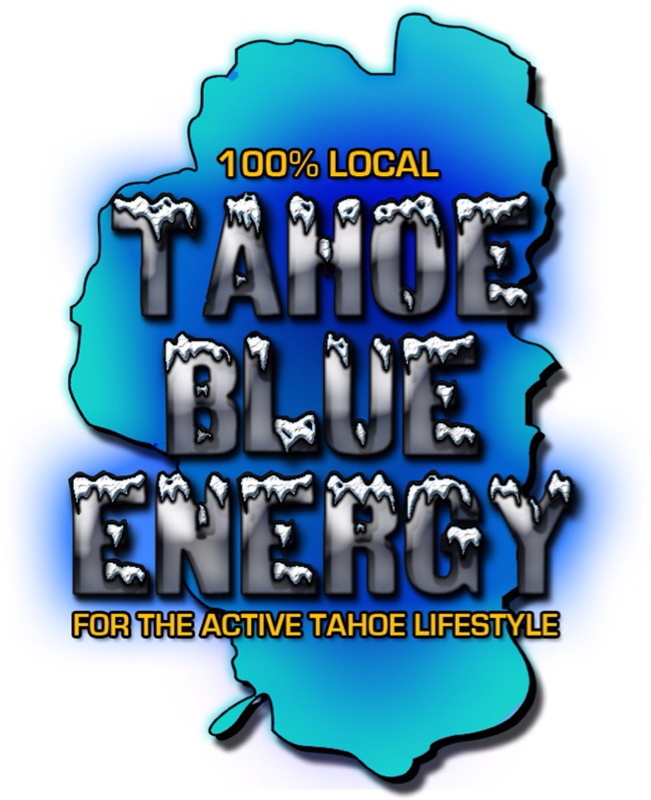 In less than two weeks time, Tahoe Blue Energy was picked up by over 30 local merchants, and has been ordered at various locations as far as the Bay Area and Mammoth Mountain. Better yet, $2 of every case sold is donated to charitable causes around Lake Tahoe. Internationally known, and locally loyal: The Energy Drink Outlet. I present to you, the Energy Drink Outlet. The world’s first and only discount retailer of energy drinks, featuring just about every kind of energy drink on the market. I also present to you, such an Outlet’s location: South Lake Tahoe, CA. 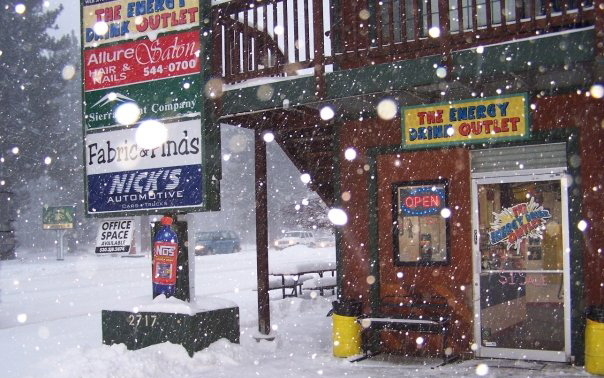 Located right on Lake Tahoe Boulevard, the Energy Drink Outlet occupies humble dwellings right in the heart of this city, with a booming international export operation behind its thin walls. The Outlet, as many choose to call it, is the brainchild of local resident Ryan Payne, and the blood sweat and tears of Payne and business partner Jason Gomes. Payne, a Culinary Institute of America certified professional chef by trade, saw the opportunity to fulfill a need in the energy drink consumer market, and went to work bringing the concept to fruition. Payne’s mental gears turning, he began to envision a way that his workers could get energy drinks at a cheaper price – a more reasonable price. The idea culminated into a solution when Payne, after much due diligence in research, decided that an “outlet” for energy drinks could be an incredible business opportunity. Fear was never an issue with Payne, and with the help of his family and friends, he initiated ground work for what would be the world’s first energy drink outlet. And with it, came the expertise of Mr. Gomes, a good friend and advice-giver to Payne. A master craftsman in the woodworking industy, Gomes brought a level-headed and benevolent demeanor to the realized vision. 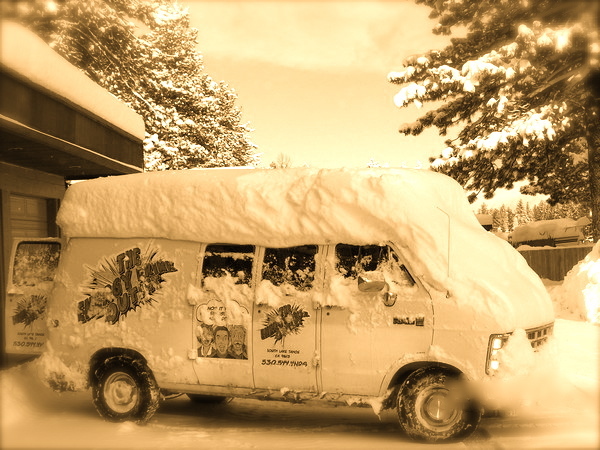 Down Home Roots: At the beginning, this van was The Energy Drink Outlet. 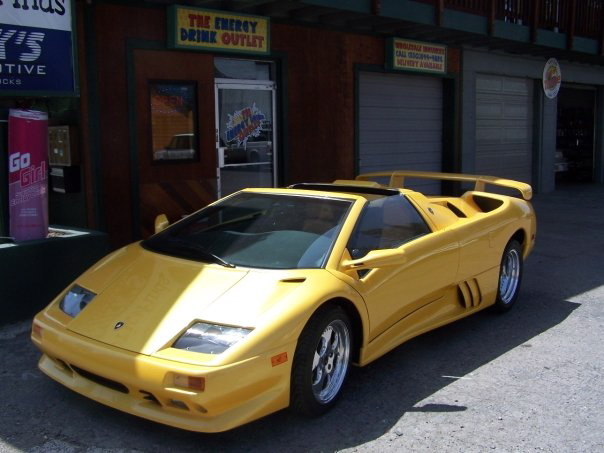 It used to seat two. Now The Energy Drink Outlet serves millions worldwide. Today both men run the shop, coordinating their schedules around the Energy Drink Outlet. 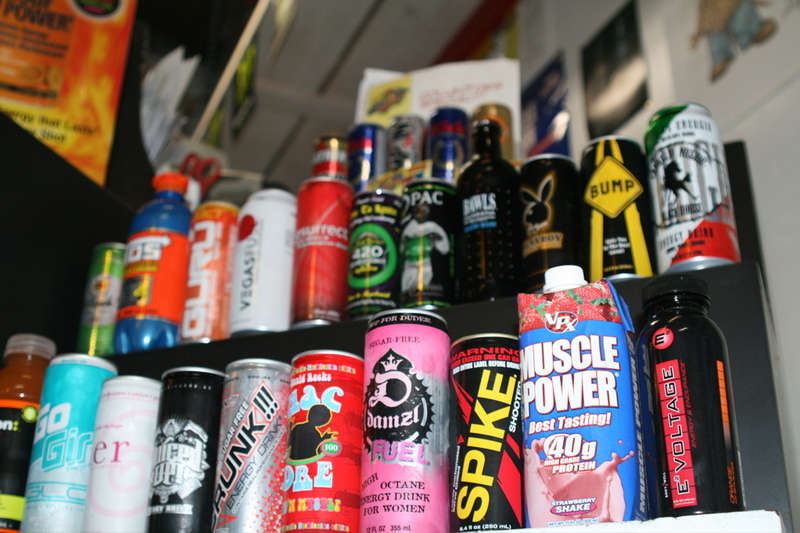 It is owner-operated as the two take care of all aspects of the Energy Drink Outlet, from website upkeep, fulfilling orders and purchases, greeting customers and stocking the shop. 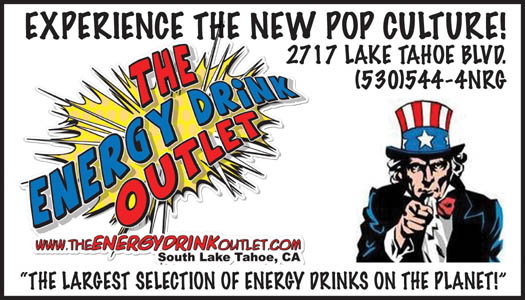 Everything with an Energy Drink Outlet logo on it is something a consumer can be positive was crafted personally by the hands of (as we here at SouthLakeTahoe.com like to call them) “the Trey Stone and Matt Parker of energy drinks. 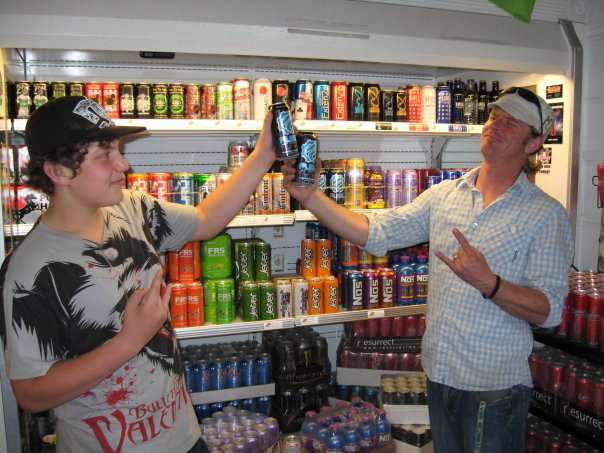 Just as creative as the South Park creators – Ryan and Jason are clever masterminds of energy drinks. They sample each and every type of product they sell, making them connoisseurs of their craft. 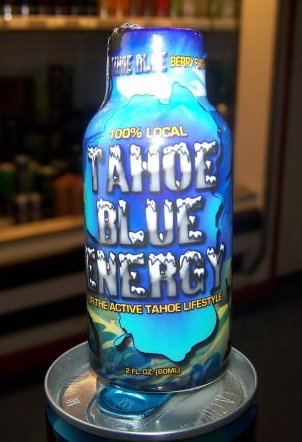 That creativity and knowledge led to the creation of Tahoe Blue Energy: Tahoe’s very own energy drink. That’s right people. We got us some drank! But not just sugar and caffeine – Tahoe Blue Energy boasts a mere 125mg of caffeine (less than a cup of coffee – take that Starbucks) and levels of taurine and other various natural energy supplements are competitive with the leading market brands. 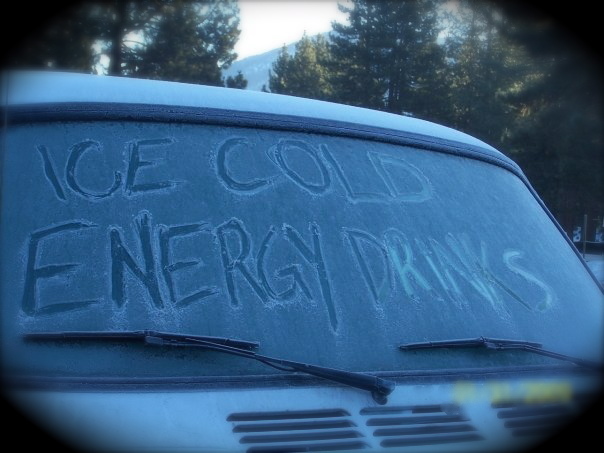 Tahoe Blue Energy is made with everyone in mind. "Mild for the masses, if you will," says Payne. The berry flavor doesn't overpower, and there's just the right amount of flavor and energy in each bottle of Tahoe Blue Energy. Hey... Payne's a chef people... he knows his ingredient balance! Tahoe Blue Energy comes in a shot form, contained in a small heavy duty plastic bottle – so as not to break during hiking, biking, kayaking, river rafting, climbing, snowboarding, sledding and every other thing we do up here in Lake Tahoe. After making a huge splash in the international market, Payne and Gomes finally had the right amount of resources to allocate for Tahoe Blue Energy to emerge. After an abhorrent amount of research, tasting, research, tasting, research and… well you get the idea… Tahoe Blue Energy was ready to meet the world! The Energy Drink Outlet’s Tahoe Blue Energy currently stocks a berry flavored shot as its only flavor – but the taste of it is not even half of the good things about it. 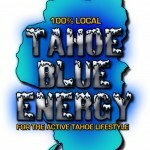 For every case the Energy Drink Outlet sells of Tahoe Blue Energy, $2 dollars is donated to local charities and causes in need of aid in the community of South Lake Tahoe. Payne attributes the benevolence to the simple principle of gratitude. “The whole reason we want to do that ($2 donations) is simply because we want to give back,” says Payne. “We want to give back because this community has given so much to us. I mean, the city of South Lake Tahoe helped me buy my house up here, through a sub buyer’s program. The city gave me business advice when I was starting out, and it’s really just out of wanting to give back for all that this city has given me. 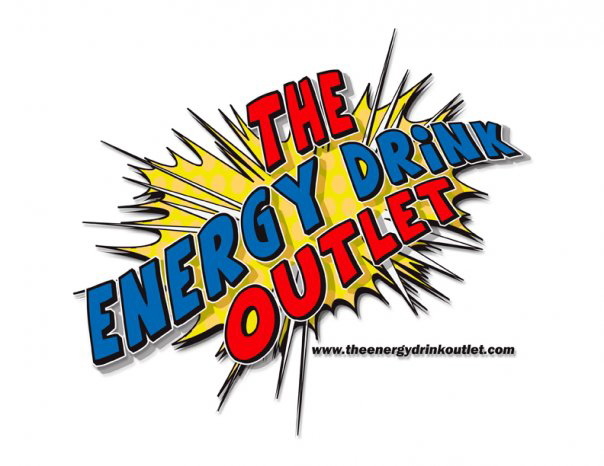 For more information about the Energy Drink Outlet, or to inquire about local causes in our area, please visit www.EnergyDrinkOutlet.com. 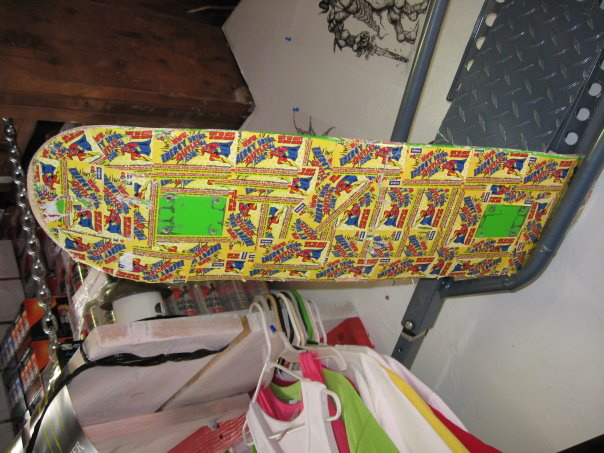 I would like to know if you carry 8oz cans of rockstar drinks. I need at least 200-300 can. and they can be a mix supply. Hey Ryan, Have you received any sugar free bawls yet?